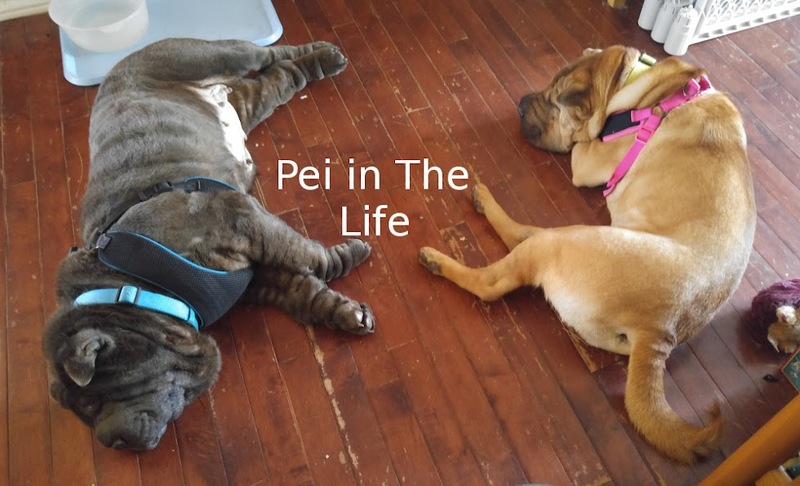 Pei In The Life: Bath Day! It was time for everyone's favourite day. 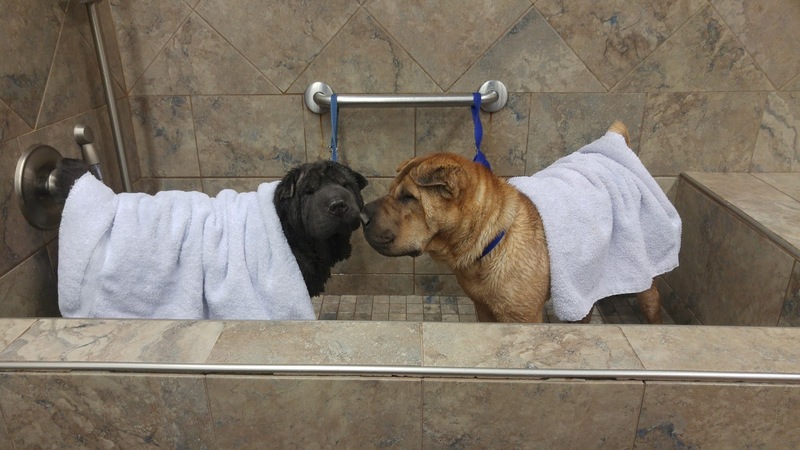 BATH DAY! We're lucky that one of our local pet stores has raised tubs for the doggos. My knees died the last time I tried to bathe these girls in my home bathtub. As per usual, they are complete opposites when it comes to bathing. Chingmy went into the bath no problem, then promptly jumped out before I could tie her in. Wedgie has to be pushed up the stairs. Wedgie took her scrubbing like the pro that she is. Chingmy tried to get away from it. Wedgie stood there with a towel thrown over her back without even shaking while I washed Chingmy. Chingmy got wet and shook. Got soaped and shook. Drying off - shaking. Wedgie let me use the dryer/vacauum. She actually looked like she was enjoying it. Chingmy tried to climb up onto my back to get away from it. OK. Enough of that. I will never get you all dry. Lets go home. Chingmy was out of that tub like lightening. Wedgie has to be pushed out of the tub. Both of them got fresh out of the bag liver treats from the cashier though. I think we've found Wedgie's weakness. Beef liver treats. Got home with two exhausted, clean and beautiful little girls. Dried myself off and continued on with my day. Until next month when it happens all over again. We had a busy weekend.